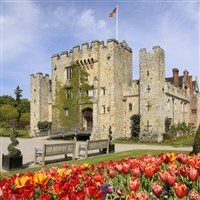 Celebrate May Day at Hever Castle & Gardens over the early May Bank Holiday. Join Henry VIII and Anne Boleyn and dance around the Maypole with brightly coloured ribbons intertwined. This age old custom is followed by demonstrations of May Day Dancing accompanied by 16th century music and a playlet about Robin Hood to herald the arrival of summer. Meet the mythical Jack-in-the-Green and follow the Green Man from folklore in a traditional May Day procession through the gardens as he wakes up the plants for summer with the help of children and their magical May bells. Theres a Green Man trail through the grounds and a duckling trail in the Castle, plus children can have their face painted* (*additional charge). 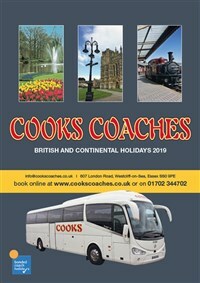 At this time of year, the award-winning gardens and grounds are a feast for the eyes, with the delicate blossom of pear, apple and cherry trees to lift the spirits. Stroll through the Pergola Walk where the walls are bedecked with an array of Wisteria and admire the colourful bedding plants in the Italian Gardens.